A man's haircut is so important. There is so much precise detail. There is nothing greater than a smooth wonderful taper. No lines, no shadows no cat steps. No one does men's haircuts better than Dave and Bryan. In fact, no one even comes close. No matter what length you want your hair, it has to be cut perfectly. Even if you have curls, swirls, cowlicks, and just plain stubborn hair: Dave and Bryan can make it behave much better with a precision cut that works with you. What's old is new, what's new is old: everything is exciting in men's hair cuts. The classic taper, the disconnected hair cuts that are really connected, short hair and long hair. What used to be hippie, can now be black tie. Dave's Place does cuts that you can shampoo and go, or cuts that you can use lots of product on and create many looks. Or, cuts that you can do both depending on your mood. You have found your stylist in Bryan or Dave. They are the man's haircut specialists. Men who are looking for the charm, the great conversation, and the personal attention of a barbershop will find it at Dave's Place. 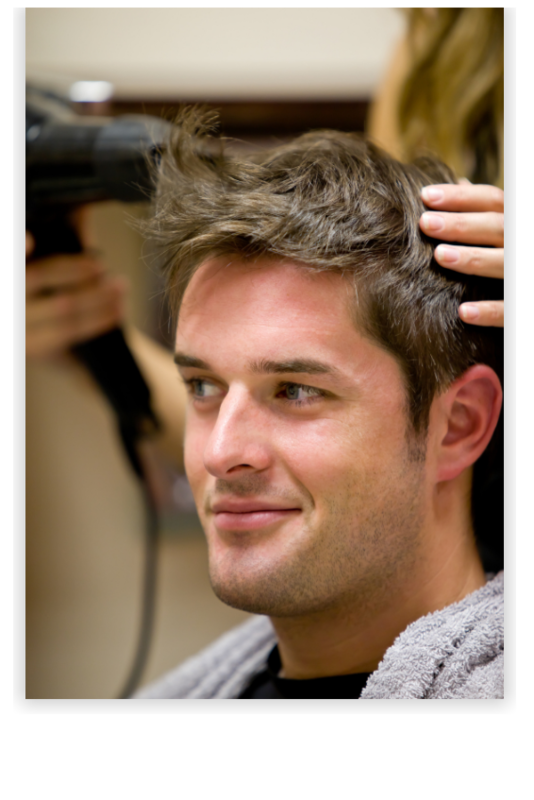 Men's cuts include shampoo, conditioner and blow dry style for $42 and they are worth every penny. A good haircut looks good the day it is cut and keeps it's style as it grows out. 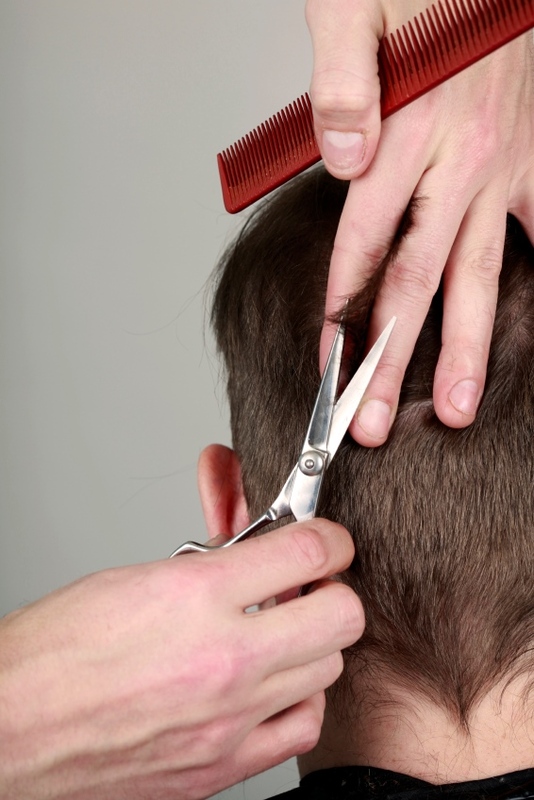 Let us set you up in a program that will let you know exactly when you need a cut. You will never get that "in-between look again".